Spirit: Cycle, Earthly, Mission, Finalize. Places to visit: Hawaii, Easter Island, Italy. Things to learn: Artistic Swimming, Diving, Water Skiing. 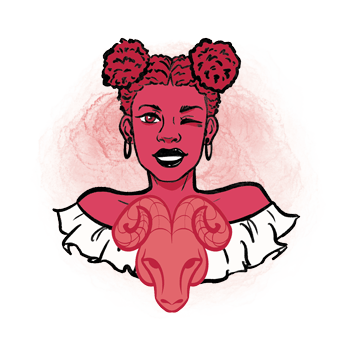 This is an important year for Aries representatives, giving special meaning to cycles in their life that need to begin, as well as those that need to end. The magic of 2019 brings some deep emotional challenges your way and right beside them, those rewards you’ve been waiting for a long time to come. 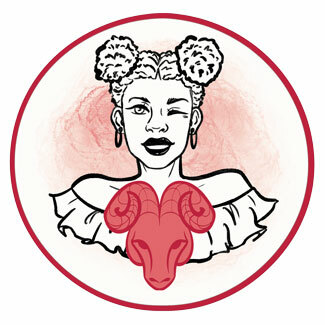 Your sign’s ruler will enter Aries on the 1st of January, giving a special impact to personal processes, grounding, and matters of physiology and initiative that requires a lot of energy and strength. Your beliefs and emotional ties need to be pure in order to use the most this period has to give, and you shouldn’t give up on your priorities no matter what happens along the way. The need to materialize your visions and bring them to life so you can enjoy them for real, will be intense. However, you will be reminded that you must let go of the past to commit to future goals with your energy in place and your position secure. Be stable, rational enough to know your limitations, and make sure you don’t put your head through the wall at first breath of the year governed by the intense energy it brings. Enormous rewards will come from the order you manage to create in your life, and from processes you finish after a long time. July and August expand your horizons and help you recognize beliefs that will take you in the right direction. The material world won’t get along with your intent and your ideas all the time, especially in June when your family life, issues with your home, and emotional troubles knock on your door to distract you from everything you’ve been working on. Allow anger and constructive conflict to push through, but make sure you are in tune with your own sensitivity and your heart before jumping into battles that aren’t necessary. Others are there to light your way and you shouldn’t judge them, for their pain might be limiting their vision. Matters of relating come to light in October, and communication won’t go smoothly if you don’t value listening as much as speaking. Positive beliefs and perspective shifts are coming along with New Year’s resolutions and again in August. This is when travelling could lift your spirit, allow you to see what you haven’t realized before, and change your views of the world. If you stick to the direction your heart chose and truly act out on impulses that are authentic, troubles in the way will seem much smaller and you will understand the need for their effect in your life. As much as the beginning of this year is energizing and powerful, its latter months could be challenging for your body. Learning to regenerate and heal through deep inner processes, it is possible you’ll stumble upon psychosomatic and unexplainable symptoms. Energy could get weakened, your immunity too, mostly in June when rest and time spend at home are as necessary as all basic needs. With September and the first glimpse of autumn, focus will turn to physical processes that need your attention. This is a good time to commit to a healthy diet, avoid spicy food and red meat, and care for the routine that will be nurturing enough. Care for your tenderest self and you will get all the strength you need to make this year grand as you find your deepest grounding. New romances might begin in January and August, and long-term commitments and marriage are calling on those who are already in a stable bond. This is a year of powerful emotions when communication seems to be the key to any relationship you wish to hold on to. However, not everything will be easy to speak of, and you need to pay attention to your partner if they get stranded in their own troubles in October and the beginning of November. Make sure you don’t neglect your family life and your emotional world as the spring comes to its end, for too many rash moves might bruise your relationships and lead you towards goals that aren’t satisfactory in the end. Balance out your inner needs with needs of other people, aware that some steps and changes are too big for the system you belong to. Be subtle, systematic, and as tactful as you can be in March and October. Care for yourself and love your own heart so others can value it too. Goals that seem reachable but too distant in February and March will be there to work for in September. Moral dilemmas are possible throughout the first part of the year and large risks could take away too much of your energy if you don’t see your steps towards the destination clearly enough. Be stable, work hard, and benefits will come in abundance. Just stay aware that you need to balance your career and finances with your emotional world, while caring for your physiology as well. Advancements, raises and bonuses are possible in January and July, and things will flow no matter the time of year as you get creative and work on inspiring projects that you feel loving and motivated for.